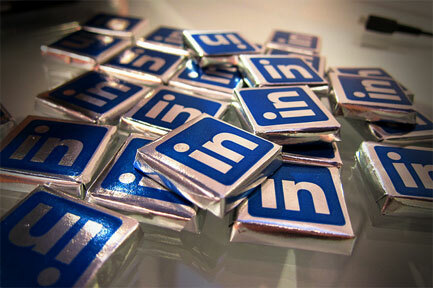 Last week, LinkedIn unveiled an upgraded version of its platform to developers. The professional social network has tried since 2009 to establish itself as a platform with open APIs and services for third parties, not to simply copy Facebook, but to confirm itself as the source for professional profiles. With 100 million users and an upcoming IPO, what are the chances of LinkedIn sealing up this role? But LinkedIn’s best opportunity for gaining traction as a platform is to turn users’ professional profiles into “identities” — the equivalent of a user’s digital business card, but with trusted authentication behind it. So third-party sites will find LinkedIn’s authenticated sign-in plug-in the most appealing new feature. Evangelize the professional identity angle, starting with sign-ins at sites for business content, travel and gadgets. With the user’s permission, share user data more liberally than Facebook or Apple. Do the same with Salesforce.com and enterprise collaboration companies. Build relationships with site development agencies as an incentive for companies to beef up their LinkedIn pages; consider offering limited-time free ads or job listings/searches to sweeten the pot. Sure, the new platform sounds a lot like Facebook Connect, but LinkedIn isn’t constructing a comments network. LinkedIn’s users aren’t “Liking” or sharing as they do on Facebook — yet — but LinkedIn profiles contain valuable professional information (job title, history, expertise), and its data about company connections are much richer than Facebook’s. For more on this, as well as LinkedIn’s overall strategy, see my latest weekly update at GigaOM Pro. Are these new initiatives digitally accessible?